I had depression issues for a few years. It was more triggered by an incident, events and circumstances rather than my pre-determined brain chemistry. I had extremely low self-esteem, which led to some very bad thoughts. I hated absolutely everything about myself. Everything I ever did or said was met with a string of self-hatred, admonishing and punishment in my head. I couldn’t imagine a future for myself because I didn’t want to be myself any longer. I felt like a failure in every way possible, whether with school, social interaction, or my craft (studying acting in school…being in a competitive one didn’t help either). In time and with help, I have gotten much better though. 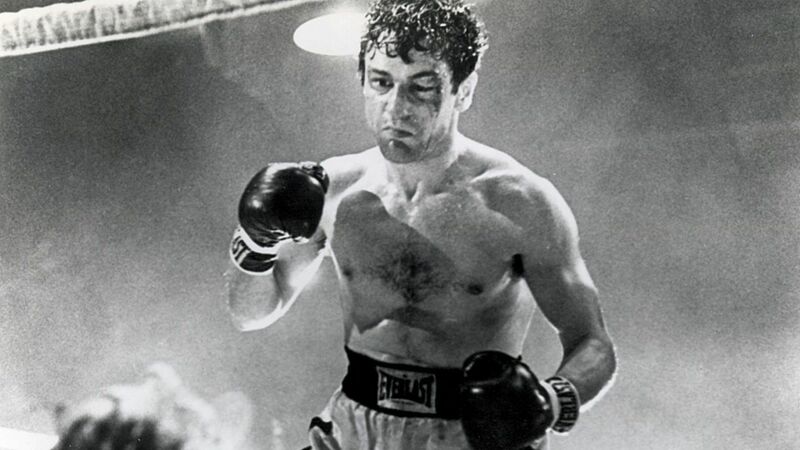 I saw Raging Bull when I was starting to feel a bit better; I was taking the steps to a happier life and sense of self. Raging Bull is about the angry, self-destructive boxer Jake LaMotta. He destroys relationships with those he cares about, due to his jealousy and quick-to-fuse rage. He knows what he does and he hates himself for it, for he can’t stop himself. While I am not a boxer suffering from a crisis in masculinity, I found myself relating to his plight. The one part that particularly moved and resonated with me was when Jake LaMotta was thrown in jail. He starts punching a concrete wall, and eventually starts banging his head against the wall over and over and over again. He cries, “They called me an animal, I’m not an animal. I’m not an animal.” The scene left me breathless, not only for it’s mastery in acting and directing, but for how much I could relate. It was as if I was watching my subconscious act out on screen. That was exactly how I had felt on the inside, banging against a wall because of how much I hated myself and how angry and sad I was. There’s something about seeing such profoundly human moments on film that touch or resonate with you. It made me feel less alone in the world while also giving a tangible portrayal of how I felt on the inside. It just made me feel a lot better to know I wasn’t the only one in the world to have dealt with such self-hate. Now, when I watch it, I am able to recall that time in the past, not the present, when I felt that way. And I’m happy I no longer feel that way, for I am able to see what a beating it takes on your soul. In the deepest depths of a depression, there is no hope in trying to relate to the outside world. In my semi-permanent cocoon on the corner of my sofa, I disconnected from everyone and everything around me, but I found brief releases in films. Specifically, films about mental illness. When you’re going through something that intense, it is infinitely comforting to find something you can relate to, whether it be a character, a storyline or a song. It’s just the notion that you’re not alone. I lost count of how many days I sat in front of the TV for 10, mostly 12 hours straight with reluctant breaks for dinner. Most of the time I wasn’t really watching anything, I just wanted some background noise to fill the room while I sat in my duvet nest and old pyjamas. But every now and then there would be something that I actually watched because it meant something to me. 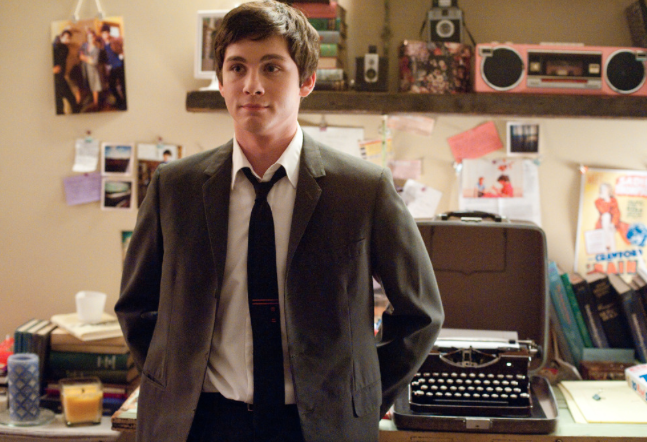 The Perks of Being a Wallflower was one of those films that really hit home, no matter how cliché that happened to be. I read the book a while before I saw the film, and saw the film before I was diagnosed, but I remember specific phrases or feelings being depicted so perfectly, and it was weird and amazing because I didn’t know it was possible for anyone else to feel how I felt. The characters and I hadn’t shared experiences or the same life story, but there were moods and feelings in there that I knew better than the creases of my corner sofa cocoon. I couldn’t figure out why this book meant so much to me, and I couldn’t understand why I cried throughout the film – even at the happy parts. But I realise now that it’s because I related to it on such a personal level, and I hadn’t realised how alone I felt until I found something that made me feel understood. I might not have been able to put what I was going through into words, but here was somebody else, portraying a version so similar it was like they’d taken chunks of my thoughts and translated them for me onto a screen or paper. Finding something that makes you feel less alone in a time where nothing really makes sense is so special. Feeling understood is a relief. 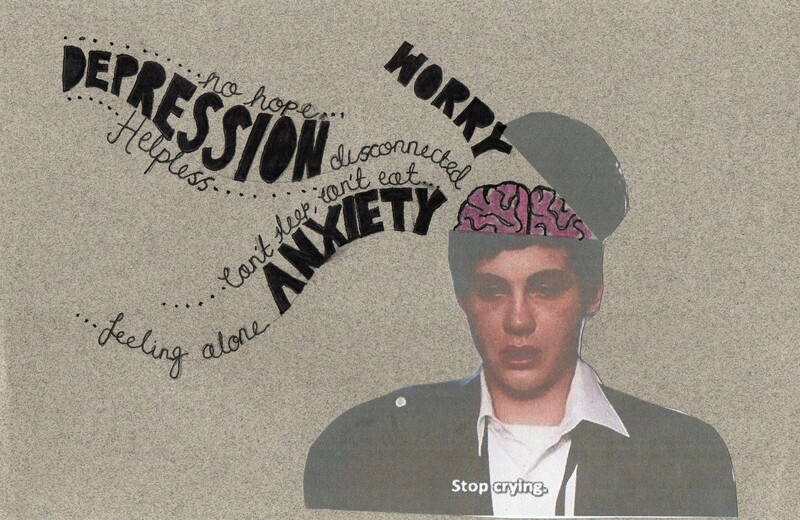 As a sufferer of depression, there have been many times in my life where I have been unable to get out of bed, not looking forward to education and having no hope for my future, but I found, that sometimes, it would all be forgotten for a couple of hours, when I put on the rocky horror picture show. When I rose tinted my world for 1 hour and 39 minutes and forgot my trouble and pain. The wackiness of it kept me excited, the queerness of it was refreshing, the cult surrounding it was a family I wished to be part of. This movie really means a lot to me, when I first watched it, it helped me to realise my sexuality, and for that I’m really thankful. I love how everything about this movie is queer, it was designed to shock and make everyone laugh and it certainly pulled through. The die hard fans are all nuts and the characters are ridiculously crazy and all ambiguously bisexual, I wanted so badly to class myself as one of them. It’s hard for me to feel like an outcast in the world when i have this movie. I was the weird kid throughout high school, but that was okay, I was only another insect crawling on the planets face. The song “over at the Frankenstein place” still gives me comfort and hope, and reassurance that one day everything is going to be okay, I’m aware this sounds kinda corny and peculiar. The lyric “there’s a light, in the darkness, of everybody’s life’ always said to me hey, one day you are going to be happy, Katie, just wait and see. the floor show told me to forget all of my troubles and don’t dream it, be it, is a mantra I always mutter every so often to myself. 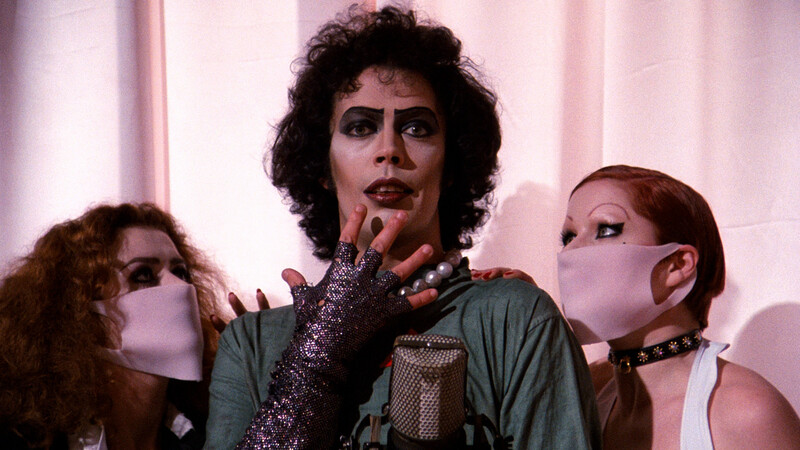 A movie can’t cure depression, but some can always be there for you when times get tough, and I’d say that Rocky Horror was definitely one of my favourite films that was.